All Risk Marine Insurance: Insurance coverage for customers that have their goods professionally packed for international shipping services. 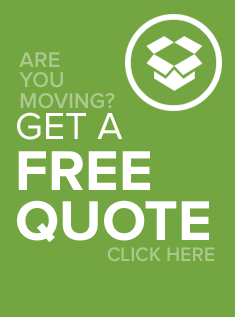 This fully covers any loss or damage to your entire shipment. Carrier: A firm that provides transportation services, typically owning and operating transportation equipment. Examples include: trucking company, railroad, airline, steamship line, parcel/express company. Consignee: An individual or firm to whom/who freight is shipped. A freight receiver. FCL (full container load): An ocean-shipping and intermodal industry term; a full container-load shipment is when a shipper contracts for the transportation of an entire container. Common container sizes include 20’, 40’ and 40HQ. Flash Point: The lowest temperature at which the material can catch fire. Full Service Move: When professional movers pack, load, and if necessary, custom crate your items, Upon arrival at destination, a customs agent clears your goods with customs then a delivery date will be scheduled. Once delivered, your goods are unpacked and positioned to your specification within the parameters of our terms of service. Hazardous Materials: Substances or materials which have been determined to be capable of posing a risk to health, safety, and property when transported in commerce. IMO Class: International Maritime Organization dangerous goods class. Intermodal transport covers combined transport on the international level. It represents the flow of goods where the means of transport (road, rail, air, water) change at least once on the existing transport route. A separate mode of transport is responsible for its part of the route in the transport chain. LCL (less than container load): Used to describe international ocean freight that cannot fill an entire 20’ or 40’ sea freight container. Multimodal transport: The movement of goods from supplier to receiver under the responsibility of a single transport operator. It represents the flow of goods, where at least one part of the transport chain and two different means of transport are involved at the same time. Packing Group: Grouping according to the degree of danger presented by hazardous materials. Packing Group I indicates great danger; Packing Group II, medium danger; Packing Group III, minor danger. Packing List: An inventory list of each item being shipped. Shipper/consignor: An individual or firm that sends freight. A freight originator. Self Service Move: When customers choose to have a container of their choice positioned in their desired location for a few hours or a few days. The customer packs and loads the goods and takes inventory and piece count. Once ready, the container will be picked up and transported for departure to its destination. Total Loss Marine Insurance: Insurance coverage available to customers who choose to self-pack their goods. The entire shipment must be a loss in order to make an insurance claim. UN Number: Stands for United Nations number. The UN number is a four-digit number assigned to a potentially hazardous material (such as gasoline, UN 1203) or class of materials (such as corrosive liquids, UN 1760). Firefighters and other emergency response personnel use these numbers during transportation emergencies. UN (United Nations) numbers are internationally recognized.